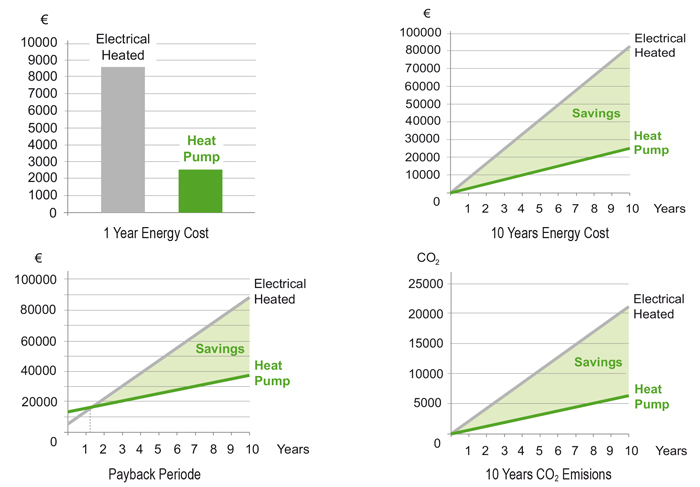 Heat pump is a device that uses a small amount of energy to move heat from one location to another. This system is extremely efficient because it simply transfers heat, rather than burn fuel to create it. It consists on a closed circuit through which a special fluid (refrigerant) flows. This fluid turns into a liquid or gaseous state according to temperature and pressure conditions. The circuit is composed by: compressor, condenser, expansion valve and evaporator. 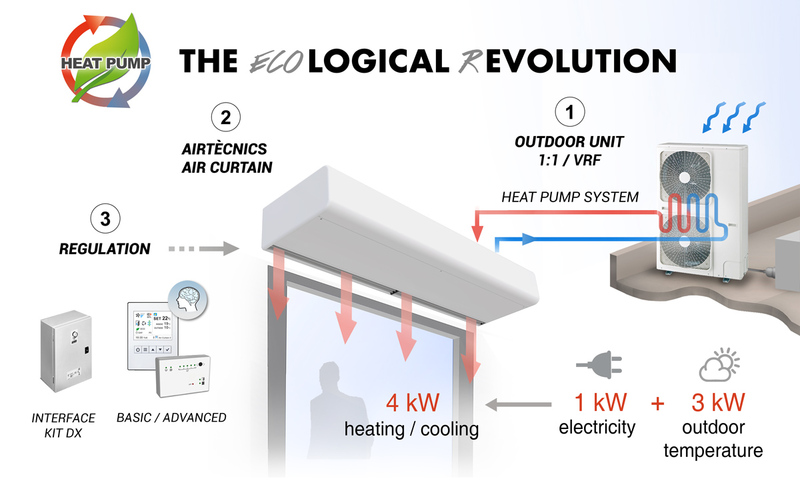 The new Airtecnics heat pump air curtains are absolutely efficient reducing the heating cost and CO2 emissions up to 70%. How much money can I save using a heat pump air curtain? Result: The payback period is 1,2 years. We recover the price increase of heat ump air curtain in nearly 14 months and then we start saving money. From the beginning we save energy and reduce CO2 emissions to the enviroment.